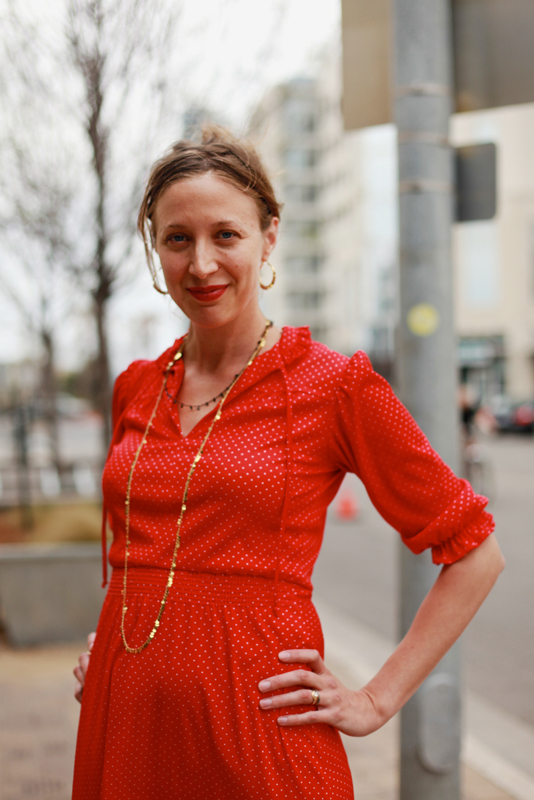 Jeri Lynn is four months pregnant and looking amazing in this vintage red polka dot dress with an elastic waistband to stretch where she needs it. Like how her self designed jewelry drapes breezily on her frame. Perfect.